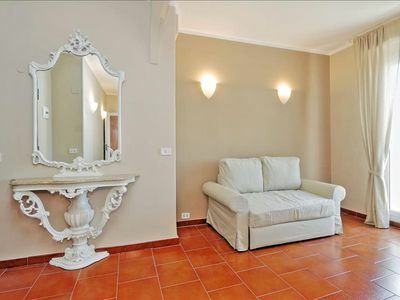 Appartamento Ulisse B is a graceful apartment. It sleeps four people. 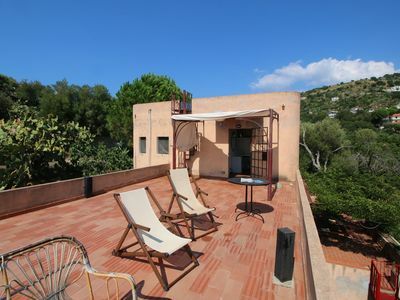 From Appartamento Ulisse B you will enjoy a partial view of the valley and, partially, of the sea at a distance. 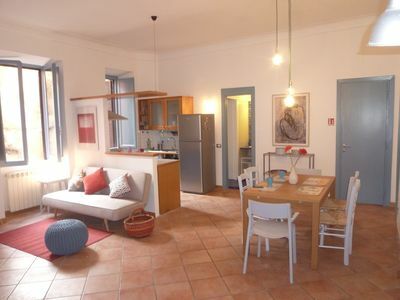 Appartamento Ulisse B is 60 square meters (645 square feet). It features a shared swimming pool and a private terrace. 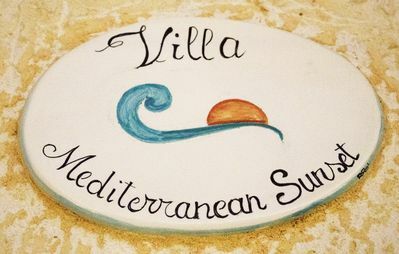 You will be roughly 3.5 km (2.2 miles) from Ravello, where you will find restaurants and shops. You will find a grocery store at 500 meters (550 yards), the stop for the SITA bus Amalfi - Ravello line at 400 meters (1300 feet) and the closest beach (Castiglione di Ravello beach) at 2 km (roughly 1.25 miles). 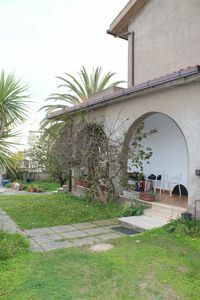 Appartamento Ulisse B is located on the first floor of an ancient villa. You will reach it from the parking area going down a private walkway that includes approximately 60 stairway steps. 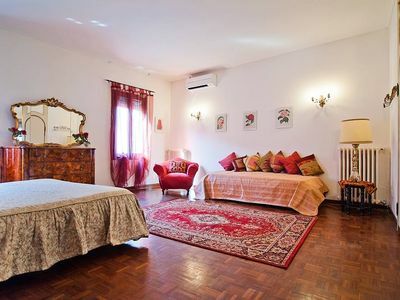 To stay at Appartamento Ulisse B you will need a car. You will be able to park it on the premises, inside the entrance gate. The parking space is suitable for at most one car. 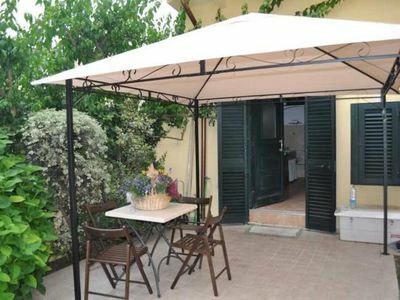 Appartamento Ulisse B is one of the holiday homes available in a small complex. Please find a general description of the complex below, and please scroll further down for a description of Appartamento Ulisse B. 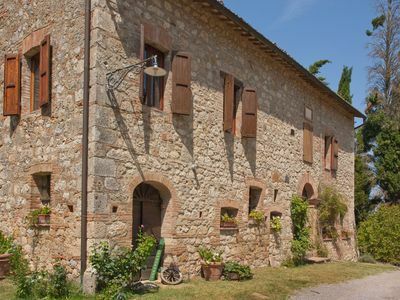 The apartments Ulisse are part of a small complex consisting of an ancient villa and two annexed buildings. 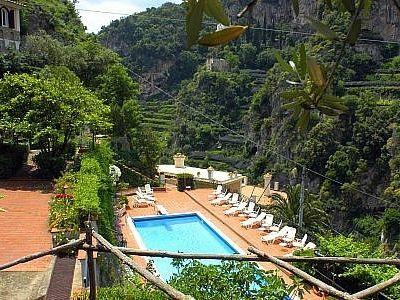 The small complex is situated on the slope of a narrow valley known as the Valley of the Dragon; it is located directly above the residential area of Atrani and beneath the residences of Ravello. 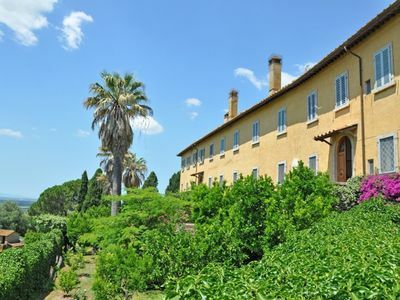 Guests will have access to a large garden that extends onto terraces along the steep sloping sides of the valley, as well as a lovely swimming pool equipped with umbrellas and deckchairs. Stretched out in the sun on the terrace surrounding the pool, you will be able to enjoy a rich and strikingly unique panorama. If you raise your eyes upwards, you will see just above you on the rocky outcroppings on which Ravello clings to the cliffside, and in particular, the terrace of Villa Cimbrone, known as the "Infinite". In front of you, you will see the opposite side of the valley, where jagged cliffs alternate with lush terraces cultivated with lemon groves. Below, framed by the nearly vertical walls of the valley, your gaze will find the glittering gem that is the town of Atrani, as well as the ocean beyond. The ancient pedestrian path and stairway that links Ravello with Atrani and the sea passes just in front of the house. Descending by this path, you will pass through the center of Atrani, where you will find stores and restaurants; here, you will also find easy access to the beach. The pathway contains 300 stairs. You will reach the swimming pool from Residence Villa Rosa going up a short walkway that includes approximately 25 stairway steps. The pool is 5.5 meters (18 feet) large by 14 meters (46 feet) long, from 1.20 meter (4 feet) to 1.8 meters (6 feet) deep. The swimming pool area is equipped with sun loungers and external showers. 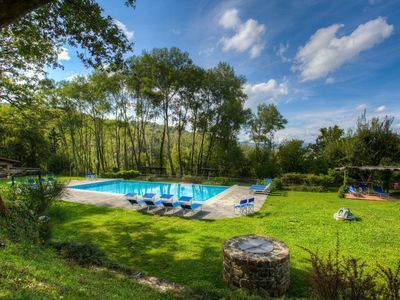 From the swimming pool you will enjoy a bright view of the valley and of the coastline. You will share the pool with the other guests staying at the complex. 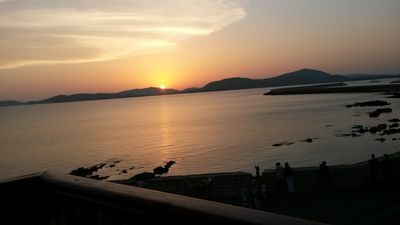 It is open from the beginning of May until the end of September. The terrace is 200 square meters (2150 square feet) large. It is partly shaded by trees. It is equipped with a table, chairs and sun loungers. 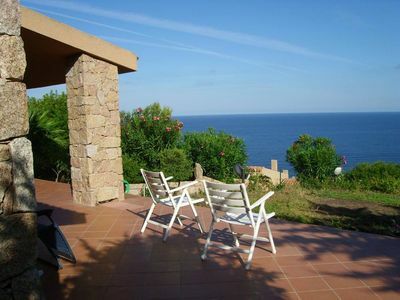 From the terrace you will enjoy a view of Atrani and of the sea at a distance and of the coastline. You will share the terrace with the other guests staying at the complex. The terrace is 20 square meters (215 square feet) large. It is equipped with a table, chairs and two deck chairs. 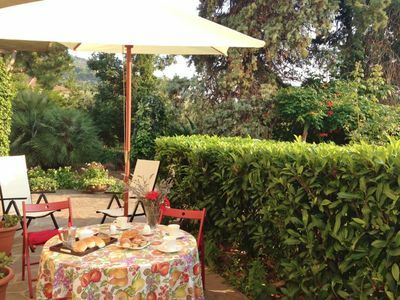 From the terrace you will enjoy an enchanting view of the valley and, partially, of the sea at a distance. You will be able to enter the first living room from the second living room. The furnishings are comfortable. The furnishings include a divan bed for one guest. The dining table can accommodate four guests. From the living room you will be able to enter the terrace through four French doors. You will be able to enter the kitchen from the second living room. It is equipped with a four-burner gas cooker, an electric oven, a refrigerator with freezer and an Italian-style coffee-maker. You will be able to enter the bedroom from the second living room. The bedroom has a matrimonial bed (160 cm/62 inches, wider than a queen-size bed). From the bedroom you will be able to enter the terrace through a French door. 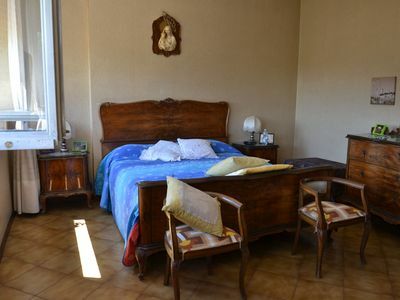 This bedroom has an en-suite bathroom, equipped with a washbasin, a toilet and a fully enclosed shower. 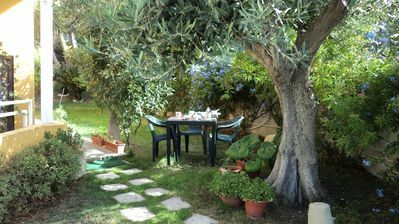 manor house 2 minutes from the sea of ​​Cagliari and Quartu S. E.